Servicing all areas of Caloundra and the Sunshine Coast in both residential and commercial real estate, property sales and property management, Harcourts Caloundra Real Estate have a team member who can help with any enquiry regarding your Sunshine Coast real estate needs. With over $250 million in Sunshine Coast property under management, the property management team at Harcourts Caloundra Real Estate have the skills and knowledge to care for your investment property portfolio. Caloundra real estate has been considered one of the best real estate investment and lifestyle locations in Queensland. If you are looking for a property by the beach, you are spoilt with choices which include Dicky Beach, Moffat Beach, Shelly Beach, Kings Beach and Golden Beach. If you are looking for an upmarket waterfront property, Pelican Waters real estate should grab your attention with its world class golf course and superb waterways. If you’re looking for space and acreage is more your thing, why not take a look at the private and peaceful Little Mountain area with the Sunshine Coast Turf Club nearby. This area is a horse lover’s paradise and is still only 10 minutes by car to the beach. Caloundra real estate offers such a diverse selection of property, with amazing lifestyle opportunities. The Team at Harcourts Caloundra love where they live and work and their passion is YOUR property. Luke Carter is one of the Sunshine Coast’s real estate success stories and is amongst the most active and awarded real estate agents in the industry. During his career he has built a strong reputation for honesty, integrity and ‘getting the job done’. Having reached the industry elite level of $40 million of property sales in a 12 month period, Luke knows what it takes to manage a high performance sales team. Luke's results see him ranked amongst the top one percent of real estate agents in the world. Luke’s upfront approach has made him one of the most successful Caloundra real estate agents. Luke sells property in all areas of Caloundra including Pelican Waters, Golden Beach, Kings Beach, Shelly Beach, Moffat Beach, Dicky Beach, Currimundi, Little Mountain, and beyond making him one of the most active and broad ranging Caloundra real estate agents. After serving for 7years in the Australian military including active service in the Middle East during the wars in Iraq and Afghanistan, Luke made the move to a career in sales and has never looked back. With his discipline and strong working ethic, Luke quickly made a name for himself within the Sunshine Coast property industry. During his first year as a Caloundra real estate agent, Luke took out the prestigious Queensland Rookie of the Year Award for the Ray White Group and within three short years he boosted himself to the number one ranked position here on the Sunshine Coast. In 2008 Luke started his own Caloundra real estate agency and became one of the youngest principals on the Sunshine Coast. Luke's commitment to professionalism and savvy business skills resulted in his Caloundra real estate agency expanding to one of the busiest real estate agency's in the region, his success soon saw him recognised for a number of industry and local business awards. Luke has continued to be the most consistent Caloundra real estate agent by achieving elite levels of sales year upon year regardless of market conditions. Luke's success was soon recognised by some of the industry’s biggest names and in 2012 he took the opportunity to partner his business with the Century 21 network. Within his first quarter of trading, both Luke and his business were recognised as the number one ranked real estate agent and real estate agency in Queensland and during his five year partnership his business was recognised on a number of occasions as the top performing business in Australasia. After five years as one of Century 21’s top businesses Luke and his team were invited to a conference where they were exposed to the systems and technology of the Harcourts network. Luke and his business were pursued by Harcourts and when an opportunity came to partner with them he jumped on board. With a desire to continue the growth of his business Harcourts Caloundra was born. Luke says "Our goal at Harcourts Caloundra is to give our clients the best service experience possible. Technology is changing our industry rapidly and as a business we need to make sure we are at the forefront so that our customers have the best chance of achieving their property goals”. 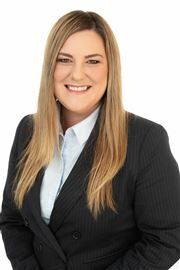 Sommer's strong passion for property was initiated when her Real Estate career commenced in 1998, and is confident within several different aspects of Investment Management from Permanent Letting to Holiday Lets and Student Accommodation in both NSW and QLD. Over the course of time, Sommer has been witness to the industry rapidly growing and evolving with the advancement of technology. With these changes, Sommer has identified the need for a higher level of service and care for both clients and customers. An outstanding personal service experience is essential now more than ever and Sommer is an advocate for ensuring that her clients receive nothing less. Having her own investment property portfolio, Sommer confidently understands the position of a landlord with respect to the daily processes and possible concerns given in most instances, we are dealing with peoples largest asset/s. Sommer carries out each required task with confidence and due diligence. Having high standards herself, including phenomenal attention to detail and a passion for an outstanding customer service experience, Harcourts Caloundra is certainly the perfect fit. As industry leaders and experts in property investing, Harcourts Caloundra will be able to assist and play a role in advancing not only Sommer's career but her property portfolio. During any down time, Sommer gets to enjoy living by the water's edge within the beautiful suburb of Golden Beach with her husband and dog. Sommer believes that after having lived in NSW previously, this is by far the best lifestyle to have, living and working on the beautiful Sunshine Coast. 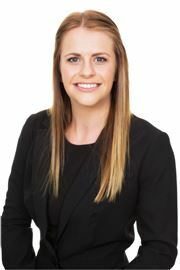 Sophie commenced her career in Real Estate in 2014 with our company and has since returned after advancing her knowledge in both contracts administration and management. Sophie loves the challenges faced within the industry and that each day is like no other. Whilst technology is rapidly advancing Sophie understands the importance of ensuring each client and customer is still serviced on a personal level providing a difference and maintaining the relationship. Sophie is delighted to work within such a dynamic team and appreciates the passion and drive which is practiced and delivered daily by the entire business. Sophie ensures that the daily running's of the office are not only streamline but professional. Sophie is dedicated to ensuring the office continues to deliver the best service which ultimately results in Harcourts Caloundra remaining as industry leaders and experts. Sophie moved to the Sunshine Coast from NSW at a young age and loves the relaxing lifestyle it has to offer. Sophie and her partner John take full advantage of not only the beautiful beaches but the stunning hinterland. We are thrilled to have Sophie as part of our team and have no doubt that Sophie’s career in Real Estate will be a success!